The Ohio House approved House Bill 3 yesterday (by a 54-43 vote) which calls for a six (6)month moratorium on foreclosures of occupied homes in Ohio. 3. Authorizes Ohio judges to "rewrite" existing mortgage agreements; and authorizes the Ohio Department of Commerce to implement a loan modification program. Specifically, Section 2308.04 of the Bill permits Common Pleas judges to reduce the principal amount and/or interest rate of home mortgage loans. Section 1223.34(B) empowers the Department of Commerce to (1) reduce the interest rate on a home loan; (2) extend the period of time for a homeowner to repay his/her home loan; (3) defer and/or reduce the amount of principal due on a home loan; and (4) consider "other factors that the Director determines are appropriate." It is this third provision summarized above, that is the most controversial, and potentially unconstitutional. According to several attorneys around the State, and Maurice Thompson, Director of the Buckeye Institute for Public Policy's 1851 Center for Constitutional Law (See Blog of March 11, 2009- http://www.buckeyeinstitute.org/) "although the sponsors of this bill have expressed the intent to rescue homeowners who are currently in foreclosure or risk thereof, it is clearly unconstitutional to interfere with existing mortgage agreements in Ohio". The claims of unconstitutionality center around the Ohio Constitution's prohibition on "retroactivity" (in this case, enforcing a law that changes the terms of existing contracts) and the "Contracts Clause" (Article I, Section 10, clause 1) of the United States Constitution ("No State shall enter into any Treaty, ... or pass any...Law impairing the obligation of contracts"). Supporters claim the Bill passes "constitutional muster" because it is reasonably related to a significant and legitimate public purpose (i.e. rescuing homeowners and thwarting a major recession). According to Aaron Marshall's article (House Approves Bill Halting Foreclosures) in today's Cleveland Plain Dealer, however, we may not get a chance to further debate constitutional issues. "The Bill now heads to the Republican-controlled Senate, where it has an uncertain future", as legislators are currently focusing their attention to the State budget for 2010-11. 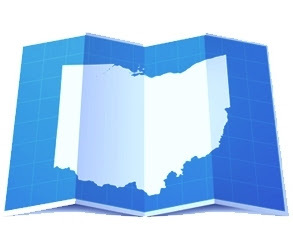 We have just added your latest post "Ohio Real Estate Blog: Ohio House Approves Six (6) Months" to our Directory of Foreclosure . You can check the inclusion of the post here . We are delighted to invite you to submit all your future posts to the directory and get a huge base of visitors to your website.